Comprehensive Exhibition on Ayurveda, Yoga, Naturopathy, Unani, Siddha, Sowa-Rigpa, Homoeopathy & Wellness. 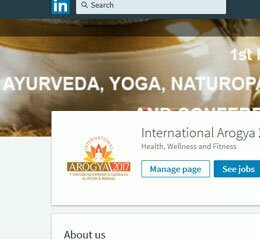 International Conference on AYUSH & Wellness. Reverse Buyer-seller meeting and Planned B2B sessions with hosted buyers from over 60 countries. Visitors and Hosted Buyer Delegations from over 60 countries. Regulators meet with Regulators of select countries. Industry – Medicinal Plants Cultivators Meet.